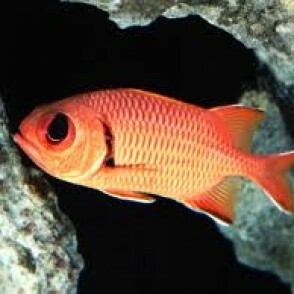 The Big Eye Black Bar Soldierfish, also known as the Blackbar Soldierfish, is bright red with thin white outlines on the fins. The eyes are very large and the center pupil is black, giving this fish a unique look. 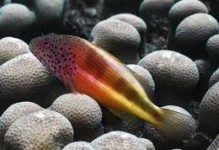 A 70 gallon or larger aquarium with large amounts of live rock for hiding will provide a good environment. 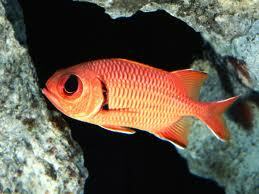 A small group is suitable as long as there are adequate hiding locations and space in the aquarium. 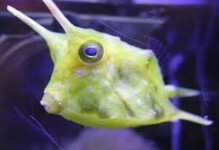 It is a nocturnal fish, hiding while the lights are on, and swimming in the darkness in search of food. 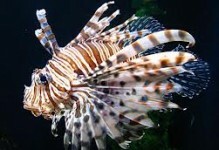 It will eat invertebrates such as worms (including fireworms), crustaceans and serpent stars. 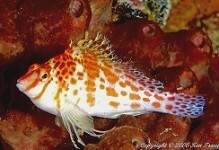 When first introduced into the aquarium, live saltwater feeder shrimp should be used to entice this fish to eat. The diet varies between live feeder shrimp, freeze dried shrimp, and chopped marine meats that will move in the water column.